Vice President, Dr Mahamudu Bawumia, has challenged Ghana’s youth to take advantage of the various partnerships, policies and programmes being implemented by Government to innovate and make technology an integral part of the Ghanaian society. For Vice President Bawumia, Government’s focus on building a technologically adept society, leading to the decision by several global players to set up shops in Ghana, is a god-sent opportunity for the youth to explore new technology and innovate to meet the needs of society. Vice President Bawumia made the call when he launched the first ever collaboration between the Government of Ghana and Oracle Corporation to develop technology-enabled start-ups on Thursday, 4th April, 2019 in Accra. 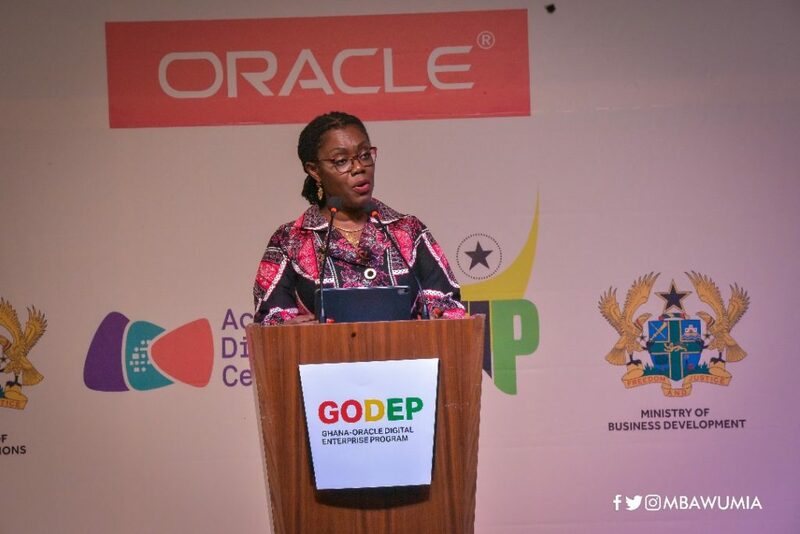 Known as the Ghana-Oracle Digital Enterprise Programme (GODEP), it is part of the Oracle Global Start-up Ecosystem, Oracle’s programme for entrepreneurs and innovators worldwide, will enable at least 500 local start-ups to access and utilize the Oracle Cloud technology. Ghana is the first country in Africa chosen by Oracle for its Global Partnership on start-ups, but this is no coincidence, according to Vice President Bawumia. “Ghana looks forward. We are the gateway to Africa, the ever shining black star – with a forward looking mind-set. We only expect new glorious breakthroughs because at present, we are ready to apply new remedies with digitization and technology innovation. “I encourage all tech enthusiasts, tech start-ups, and tech companies to take advantage of all the avenues created by the Government of Ghana and through this new partnership with Oracle. 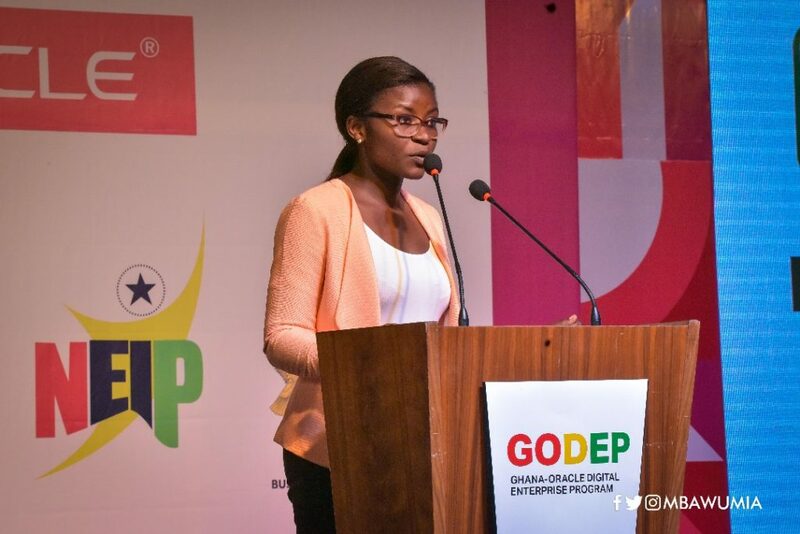 The launch was witnessed by the Minister for Communications, Ursula Owusu-Ekuful; Maria Forney, Director, Oracle Global Startup Ecosystem; Deputy Minister for Interior, Henry Quartey; First Deputy Governor of the Bank of Ghana, Dr Maxwell Opoku-Afari; and the US Ambassador to Ghana, H.E Stephanie S. Sullivan.